The photo below is in SM Mall, Wonder Park “the family entertainment center”. This area is favorites of Vince especially when he saw the red car. He almost want to stay, sometimes we consumptive got a 50 pesos equivalent to ten tokens. Every rider here is one token or equivalent for 5 pesos only. I am glad because I see that he really enjoy what he was doing. This red toy car is very attractive and looks seems to be flirting with children. 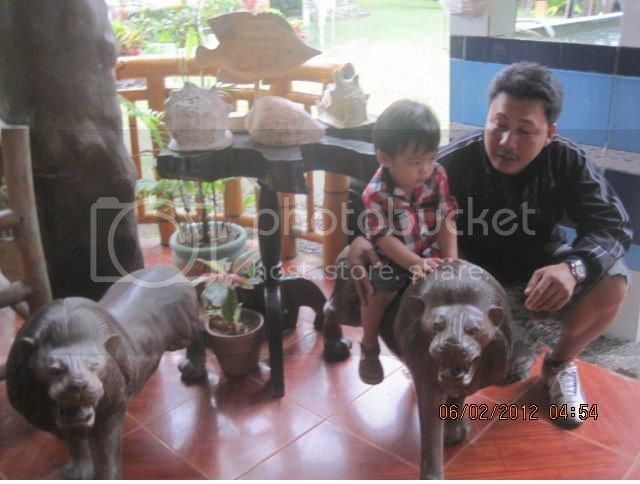 Silangang Nayon is one of the best and most desirable restaurant located in Province of Pagbilao, Quezon. My SIL was celebrating her birthday last February. If you enter here you can see the different kind of statue animals and the stunning view of restaurant houses on stilts with a long food bridge. The order will be delivered using an airplane suspended on a cable, sort of zipline delivery it’s very different. And you can admire the place, the stunning view of Pagbilao Bay, Pagbilao Power Plant, Pagbilao Grande Island, and Patayan Island with visible white sand beaches from a far. Anyhow, one of the best food served in this celebration are steam capiz in oyster sauce, sinigang na hipon, spyribs, fried chicken, fresh buco juice and java rice. Silangang Nayon has hotel rooms available for overnight accommodations, we did not stay here because our home is near this place. I t’s almost 5 kilometers only from our home. Anyway, it’s just easy to go there Comute to Pagbilao, Quezon: Board Buses to Lucena City either via Lucena Lines, Jam Transit or Jac Liner, it’s better to board one with Dalahican signboard for by its passes by SM City Lucena. In Lucena you transfer to jeepneys going to Pagbilao. Then you just stop in Greenview Hotel and beside of this hotel they have many passengers tricycle going to Silangang Nayon. 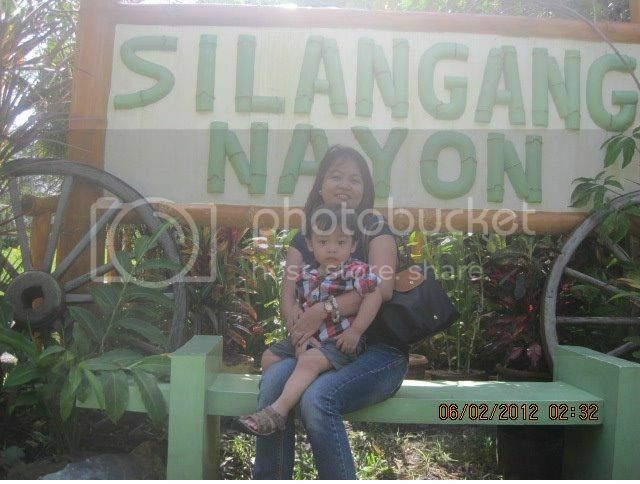 Last May 2012, my hubby and I went to Liliw Laguna. Incidentally, the weather is good and I saw the stunning view of Mt. Banahaw and the green environment. So I told my hubby to stop the car and I took the picture of the mountain. They have many eye-catching scenes but were attracted the pleasant view and green environment of Mt. Banahaw. This view is located along the Majayjay high-way going to Liliw, Laguna.